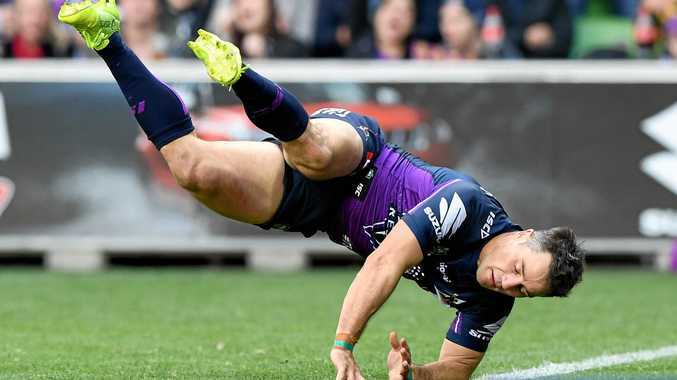 COOPER Cronk says he has no fear of being targeting with the type of shots Andrew Johns branded as "cheap as they come", despite Cronulla bashing him into a forgettable grand final performance exactly a year ago. Broncos enforcer and former Storm teammate Adam Blair drew howls of outrage when he belted Cronk from behind in last week's grand final qualifier, renewing concern the star No.7 could be targeted illegally by the Cowboys in Sunday's decider. Johns labelled Blair's shot a "coward act" and "absolutely dirty play" in commentary last Friday but the Kiwi international escaped any charge for his late contact on Cronk. Brisbane's targeting of the champion playmaker amounted to nought, literally, in a 30-0 thrashing. But 12 months ago the Sharks went after and successfully rattled Cronk into one of his quietest performances on the big stage - registering just two runs for six metres and thrown off his game while Cronulla made off with their first title. The Sharks repeated the dose again earlier this year in the grand final rematch, as Wade Graham and Luke Lewis repeated their 2016 blueprint to bash the Storm half black and blue. While the Cowboys have been vocal over the targeting of their own maestro Johnathan Thurston, heavy hitting back-rowers Gavin Cooper and Ethan Lowe will likely be making a beeline for Cronk in his final Storm game. 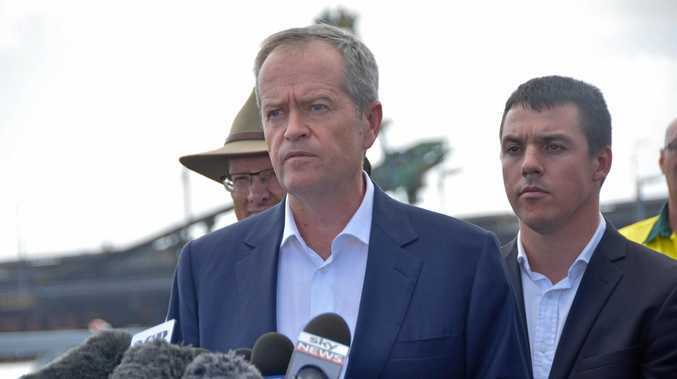 And the 33-year-old is still planning to use that to his advantage, with Cronk holding no concern about going to right to the defensive line or the officials' policing of foul play. "I'm not concerned at all. I think there's a fine line between players putting pressure on ball players and obviously a penalty can suffice," Cronk said. "If it goes any worse than that or goes higher than that in a tackle I'm sure the referees will take care of it. "I'll be doing it again on Sunday night because it's a part of my job. "If I can take a whack and help someone create an extra metre of space and get a sore set of ribs from it I'll be doing it again."